A name synonymous with the world of motorcycle racing. An international idol and possibly one of the most successful and famous motorbike racers to go down in history. Being the son of a motorcycle racer, Graziano Rossi, instilled a passion for the sport in the young boy whose mother feared for his safety. He was not allowed to ride motorcycles at an early age and was instead encouraged to do kart racing through which he holds many achievements. In 1993, racing friend of his father, Claudio Lusuardi, was called on to assist in getting his son a 125 cc bike. The first bike went to ruin and was crashed, however, he continued on the path of motorcycle racing, performing adequately in the Italian Sport Production Championship. A title he later went on to win in 1994. Rossi’s training in 125cc motorcycle racing flourished after that first championship win. In 1995 he went on to win the Italian 125cc Championship as well claiming third place in the 125cc European Championship. He became the youngest rider to nab the 125cc World Championship in 1997 which took place in Aprilia. 1998 Saw the racer step up a level to the 250cc category. He achieved a second place in the 250cc World Championship that same year. The scene set once again at Aprilia in 1999, Valentino stood on the podium in first place at the 250cc World Championship. Ironic seeing as this was the venue where his fir st championship win was achieved. Mentored by Michael Doohan, in 2000 Rossi signed with team Honda to race the 500cc class. That year he reached second, however, in 2001 he clinched the victory. History was made in 2004 after his change to Yamaha. The championship was his once more and he became the first rider in history to win championships representing two different manufacturers. He once again came out on top in the following season, 2005. 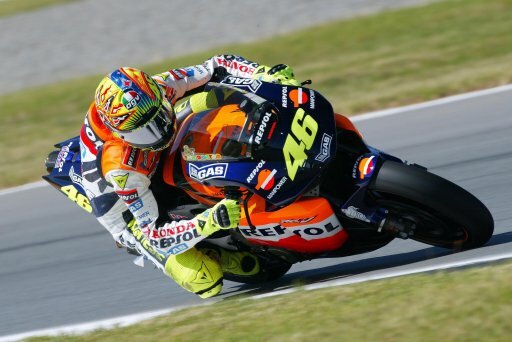 Second place had his name on it in 2006, finishing five points behind Yamaha rider, Nicky Hayden. 2007 Saw his lowest achievement to date, third. That can, however, be attributed to injuries and technical problems. 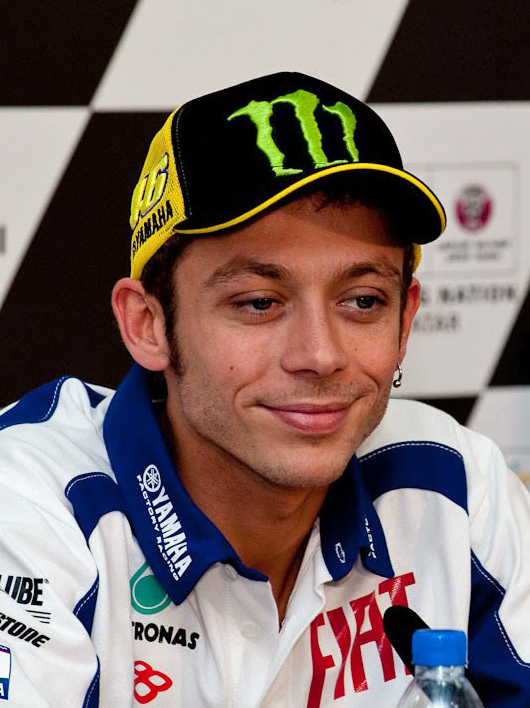 Ducati gained a rider in Rossi in 2011, however, in the middle of 2012 the announcement was made that he would be returning to Yamaha. At the end of 2013, Rossi had recorded a whopping 106 wins, 80 of those were in the 500cc class. The achievement is an outstanding one and proof of the level at which the rider performs. The rider is an avid fan of Italian Football, supporting the team Internazionale. His nickname is “the doctor”. From the beginning he has ridden under the number 46 and continues to do so, ironically 46 was also the number his father rode under. Rumors and misfortune have plagued the rider somewhat and a tax evasion investigation led to the payment of a 35 million euros settlement to the Italian Tax Authorities. The Champion lives on and continues to create magic whenever the motor roars.